Prince Harry was visibly touched after a royal fan showed him an unseen picture of his mum Diana during a visit to Bristol. 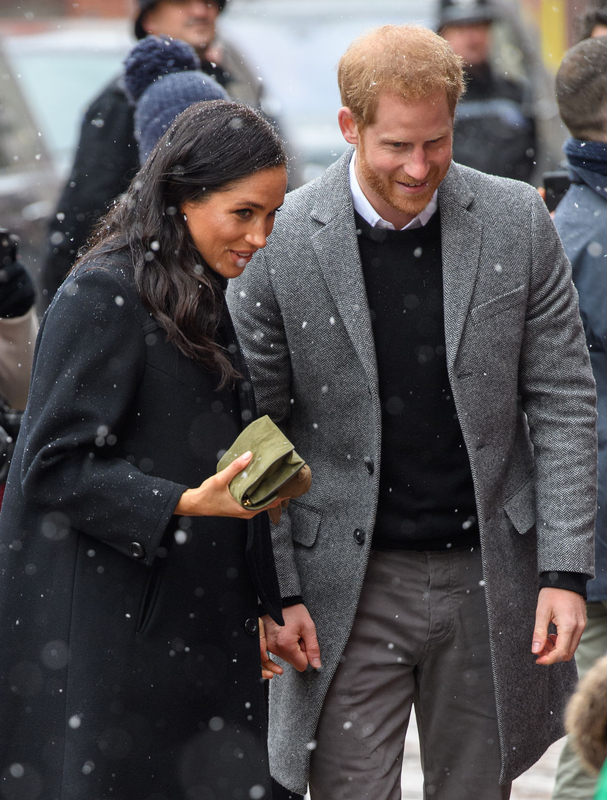 Harry was out in Bristol last week with wife Meghan, braving the cold weather and snow to meet fans at a royal engagement. The pair was due to fly but had to take a train instead due to the bad weather, which made them arrive half an hour later. The delay did not deter royal fans waiting to say hello to the royal pair, who will soon become parents to their first child. One of the royal fans waiting for the duo was a woman whose mum met Harry’s mum Diana 25 years ago, and she was carrying a picture of the sweet moment. The well wisher promised to send him the snaps, so fingers crossed Prince Harry will receive copies to keep. During the same visit, the couple also met a group of school children who were enjoying a day off school because of the snow. However, one of the little ones was more interested in the snacks they had been given, and did not look impressed when Meghan tried to say hello. The hilarious reaction was captured in a video posted on Instagram (scroll across in the post below to see the clip). While the arrival of their first child is fast approaching, the pair is still busy with engagements and will be attending the gala performance of ‘The Wider Earth’ next week.